For watches, now that companies like Timex only manufacture abroad, you might try: Bremont (assembled in the UK; packaging made in the UK; Swiss movements; around £3,000-£20,000; Bremont employs around 30 watchmakers at a workshop in the Oxfordshire town of Henley-on-Thames, and makes many of its own parts at a factory in Silverstone, Northamptonshire). Meridian (casing made in UK; then assembled in the UK; Swiss movements; around £5,000). Harold Pinchbeck (assembled in the UK; they say they try to use some British made components; Swiss movements; around £300 to £5,000+). More reasonably priced (from about £50-£300) are RLT Watches who buy, sell and repair all makes of vintage watches, but also assemble watches in the UK under their RLT Watches brand using Swiss or Japanese movements. 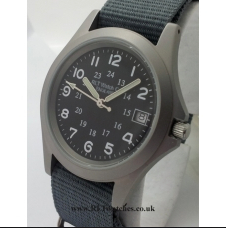 IWI watches use Swiss movements, casing made in the UK and are assembled in the UK (around £1,000-£3,500). Peter Roberts Watches (Swiss movement; assembled in the UK; around £20,000). J & T Windmills (Swiss movement; assembled in the UK; around £1,000). Schofield watches (Swiss movements; case made in Germany; assembled in the UK; around £3,000+). Dent London (Swiss movement; assembled in the UK; around £25,000; E.Dent & Co Ltd, makers of Big Ben, ceased to trade in 1966; this company just appears to have appropriated their name). Pinion watches have Swiss movements and are foreign made, but assembled in England. Again more reasonably priced are Paulin Watches (quartz watches, foreign made, assembled in the UK and sent in UK made packaging). W. T. Author watches are assembled in UK with Swiss made movements and they sell leather watch straps (24mm lug width only) made in Britain using Argentinian-sourced buffallo hide. Mr Jones Watches finish and assemble their limited edition watches in London (and only their limited edition watches, the rest of their collection being entirely foreign made). Garrick, which opened in Norfolk in 2015, uses movements made in Switzerland and modified or assembled in house and they say “We do almost everything else ourselves, from making the plates and dials to the cases and crowns.” Garrick watches retail for between £2,500 and £50,000, and around 70 were sold last year. RLT Watch Co. Quartz Military Style RLT6 watch. Assembled in the UK. This entry was posted in Jewellery, Watch Straps, Watches and Clocks and tagged Black Horse, Black Horse Military, Box Bag, Bremont, British made watch straps, British made watches, British watchmaking, Dent London, Garrick, GasGasBones, Gents, Harold Pinchbeck, In-House clocks, Ingersoll, IWI watches, J & T Windmills, Lascelles, Meridian, Minster watches, Minster1949, Mr Jones Watches, NATO watch straps, Peter Roberts Watches, Phoenix, Phoenix Straps, Phoenix Straps Ltd, Pinion, R.W Smith, Raven System, Ravensystem, RLT Watches, Robert Loomes & Co, Roger W Smith, Schofield, SELVYT, Smiths, Tanner Bates, Timefactors, Timex, Town Talk, Trestle Shop, UK, UK made watch straps, UK made watches, Watch straps made in UK, Watches, Westclox, Yellow Dog watch straps on January 1, 2015 by ukmade. This entry was posted in Toys and Games and tagged Airfix, Brian Clegg, Brooklin Models, Carddies, City of Zombies, Escor Toys, Fawns playgrounds, Games, Gibsons Games, Hornby, House of Marbles, Humbrol, Humbrol Paints, JHG Jigsaws, Just Jigsaws Ltd, Little Bean, Made in the UK, Newmakers, Orchard Toys, Plastech, Playgrounds, Raven System, Richard Edward Limited, Scooterpeg, Shannon Games, Squidge & Pip, Stevenson Brothers, Stickibox, Teign Valley Glass, Toys, Toys and Games, Trakke, UK Stressballs, ukstressballs, Urofoam, Wentworth Jigsaws, Wicksteed Playgrounds, Willis Toys on April 28, 2013 by ukmade.